When you drive away in a BMW for the first time, you’re taking home a superior vehicle. The Moss BMW service department is here to make sure it remains that way by providing superior service and repairs. Whether you’ve driven 10,000 miles or 100,000 miles, our service team is dedicated to ensuring your BMW keeps performing its best. 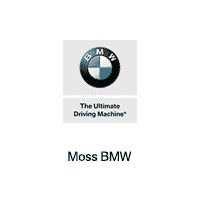 Why choose Moss BMW for your service? Our highly trained and certified BMW technicians undergo frequent training so they’re always up-to-date on every component of your vehicle. They also have access to the latest specialized technology and precise analysis tools, so any repair, big or small can be made quickly and efficiently. You also get the added benefit of knowing that our technicians ONLY work on BMWs. This means they’re experts in BMWs and all their inner workings. They know your vehicle inside and out and will always be able to help you. By bringing your BMW to Moss BMW for all your service and repair needs, from regularly scheduled appointments to major repairs, you can count on a continued driving experience unlike any other—for every single mile of your lease or ownership. As a vehicle owner, it is vitally important that you carry out regular maintenance. Without proper maintenance, your vehicle is more likely to be prone to more serious problems in the future that could lead to you being greatly out of pocket financially. Making sure your vehicle is properly cared for means saving you money in the future and ensuring that one of your largest investments, your car, is in the best possible condition it can be in. By performing routine maintenance on your BMW, it will highly reduce the risk of serious problems occurring in the future, as well as improving the driving quality of your vehicle. It can be a daunting task, but the Moss BMW heavily vetted technicians with their experience and expertise make it as easy as possible. Saving money — It might seem like you’re spending more money and time by taking your car in for regular maintenance but sticking to a car maintenance schedule helps you save money and time down the road. For example, the cost of replacing a timing belt before it malfunctions is much lower than it will be if you wait until it fails and causes additional damage to your engine. Things like properly inflated tires and clean filters also improve your fuel economy, which will help you save money on gas. Saving time — If you get the timing belt replaced on schedule, your car will also be in the shop for less time than it will be if you wait until it fails altogether. When you stick to a maintenance schedule, you also get to control when you take your car to the shop. But, if you skip these appointments, your car could end up breaking down at an inopportune time, causing you to be late for (or totally miss) an important event. Keeping your engine running smoothly — Regular maintenance, like oil checks and filter changes, also keep your engine running smoothly and at its full potential. This also helps prolong your engine’s lifespan. Keeping all systems functioning properly — In addition to keeping the engine running as it’s supposed to, all other systems in your car will work better when you keep it maintained. Simple things like changing the spark plugs and replacing the coolant will make all the difference to the way your car runs. Safety — A safe, reliable car is a must, whether you’re going on a long road trip or just driving for a few minutes to and from the office. Sticking to a maintenance schedule also ensures your car is safe to drive. If you get your car serviced when you’re supposed to, you’ll have peace of mind knowing your brakes are working and your engine is in tip-top shape. Call us today to hear about our services and parts!